We can provide you with all types anchor point installation solutions for all your Height Safety needs including Roof safety anchors and anchor point certification in Sydney for all types of buildings and structures. We also provide Roof height safety systems ranging from safety static lines anchor points to safety static lines cable systems and much much more. Height Safety Anchor point testing must be performed ever 12mths requiring each safety anchor to be load tested and tagged, as per workcover requirement in NSW. 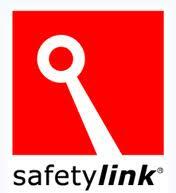 We also install uniline safety system and safetylink Pty Ltd from there lates range including temporary safety lines and perminant cable static lines and carry out anchor point installation for static line systems, and all certified height safety systems available in Australia. 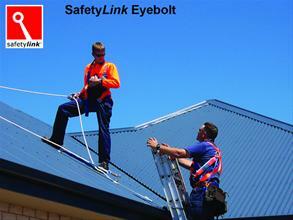 We are approved installers for all brands of height safety anchor points and height safety systems. All our Systems comply to Australian Standards AS/NZ 1891.4 2009 for fall arrest systems and AS/NS 4488 for Industrial Rope Access anchor point certification and installation, also in compliance with workcover approved practices and standards for any work carry out where there is a risk of a fall. Anchor Point Certification is require to be carried out every 12mths in accordance with Workcover Legislation NSW, were each chemical set anchor must be load tested to 7kn and a visual inspection of all fall arrest anchor systems. All Anchor Points must have a record test tag installed so you can check you current system to see if they have been tested within 12mths, if you find that there is no tag located adjcent to the anchor point then it is not in compliance and need to be load tested. 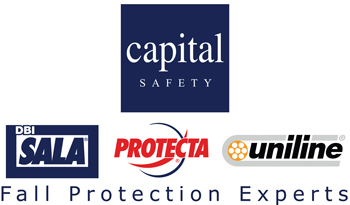 Please inqure if you require you current height safety system to be certified call our project manager now on 0414 594 965 for a free call and quote. Roof safety anchors can be installed to any type of roof from concrete slab to sheet metal roofing we can provide a solution to install any type of anchor that comply with safety standards and is cost effective and practical to use. Difficult access areas can be made safe by installing a variety of safety access systems where personnel can attach to so a safe work area can be achieved. Depending on your budget requirements a wide selction of systems are available ranging from single Hilti chemset anchor points, 12-16mm stainsell steel anchors, synthetic static lines, temporary safety line or full sala or uniline cable static line. Safety is the first thing considered before any type of work is carried out in NSW in accordance with workcover NSW, and should be the number 1 on the list before considering performing any type of work, and in NSW Workcover require that any personnel that is to carry out work above 1.8mtrs must be attached safe and securly to prevent the event of a possible fall, we can provide you with many different types of systems either temporary or perminant. Temporary safety lines are made from synthetic static recue line where we install removable anchor points into a solid substrate or roof and connect between the anchors a synthetic safety line where personel connect to with a energy absorber. Anchor Point installation and certification is a important part to keeping out trades community safe to prevent unnessicary incedent and accidents happening in the workplace, that why we offer a compeditive solution for all your height safety needs, if our submitted cost estimate is higher that a previously submitted quote we will match the quote. 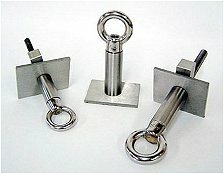 Average cost ranges between $100 - $200 per anchor for single anchor points dependant of substrate. Please click the link below for prices although a site inspection is nessicary to provide you with a quote. Please go to our price list for by clicking here for prices on individual anchor points costs. Lorem Please contact our Project manager Nicholas Stansell on 0414594965 for a free call and quote we can come free of charge and proivde a full safety report and provide you with a detailed breakdown of what is required and compliance report.